/ Asheville, NC Founded – Bernhardt Furniture Reviews – Sofa and Recliners! Asheville, NC Founded – Bernhardt Furniture Reviews – Sofa and Recliners! Welcome to our Bernhardt furniture reviews guide! Bernhardt have been around since 1889 and have one of the longest histories in the furniture industry. Founded by the Bernhardt family they remain family owned, with 4 different generations managing the company. Based out of North Carolina, Bernhardt have now grown so large that they have 8 different manufacturing plants with a 75,000 square foot showroom. We have a few reviews from North Carolinian companies including Huntington House, CR Laine and Sherrill Furniture. Bernhardt still hold the same values that their founders did. 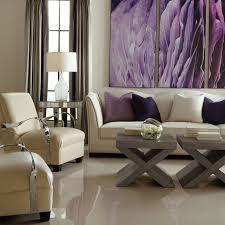 They believe in upholding the artistry of furniture making and maintaining high business standards. For Bernhardt the furniture is not just a product to be sold, it’s something crafted individually to bring value to the customer. Bernhardt are all about providing for existing and new customers and not compromising on quality. Bernhardt have grown with America and survived some testing times. Their ability to continue to grow throughout their history is a testament to their work ethic and products. Bernhardt's values reminds me of Flexsteel Furniture in their eye for detail and quality. Bernhardt manufacture furniture for the whole home with one of the most varied and diverse range of products on the market. They have whole collections for bedroom, home office, dining room and of course living room. Their core products are their living room range, with their sofas and chairs proving their most popular products. Bernhardt believe in combining modern technology and traditional craftsmanship. They incorporate high standards and special techniques to create each of their units. Their upholstery has multi- ply hardwood ply or 4/4” hardwood for their frames and fasten corner blocks to each unit to increase it’s durability. Every step of the manufacturing process is overseen, including the sourcing of the best materials. Before being sent out every Bernhardt unit is tested thoroughly for strength and durability so they can be confident they are providing a solidly engineered product to the customer. The end result is furniture built to a high standard that you can rely upon. Let’s take a look at their sofas and chairs. Bernhardt have over 100 uniquely designed sofas to choose from. This is a wider range than most competitors and each sofa has been uniquely designed to give something unique to the buyer. This wide range allows the customer to select a sofa that will fit in well with their home and not clash with any existing decor. Bernhardt Sofas range from the casual collections like “Nicole” to much more classic sofas like the “London Club” collection. The mix of traditional and modern styles is something Bernhardt do very well, allowing the maximum choice. Along with range of style you can select the different colours and fabric. If you’re looking for a different feel and look you should check out Bernhardt’s range of leather sofas. These have a more traditional feel and the leather is longer lasting than the fabric. Bernhardt offer 4 different cushion types for your sofas each with unique cores that provide a different feel. Bernhardt cushions are eco friendly and made to stand the test of time. 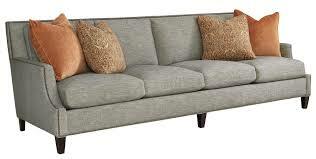 Bernhardt sofa size varies depending on the type of unit you purchase. They have such a large range you’ll be able to find one that utilises your available space effectively. Your local dealer will be able to help you with this. Despite not having any reclining sofas Bernhardt have some of the biggest selection of home furniture around. 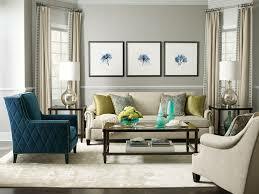 The collections are mostly fairly neutral, with a few more classy styles suitable for a range of rooms. The construction quality is high and with Bernhardt you’ll end up with a sofa you can rely upon. Bernhardt have a large selection of chairs for your living room. The most popular are the recliners, which provide comfort and relaxation to people around the world. The chairs vary from the very traditional to the modern with various different customisable options. 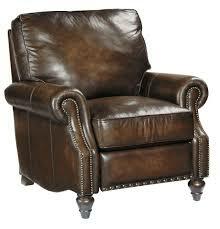 Bernhardt recliners are all in a variety of different shades of leather. They are all styled differently with a unique finish that is slightly different every time. A small three stage press back mechanism is fitted into them so the user can simple lie back to relax. Bernhardt recliners are a lot more traditional than any others on the market. They don’t resemble the Lazy boy’s seen on TV but instead a much more rustic look. They’re perfect for studies but won’t be well suited for modern living rooms. Unlike a lot of other manufacturers Bernhardt recliners don’t feature the modern additions. Bernhardt chairs are very traditional and give a real touch of class to your home. They combine comfort with luxury in a range of styles and designs. With high quality fabrics and leathers available you can end up with a really well made, high end unit without the high end price tag. It’s always important to check what other users are saying before a purchase, especially with something as important as home furniture. Bernhardt are a large scale manufacturer so It isn’t difficult to find reviews referring to their products. "My dining room set and bedroom set are Bernhard as well as my family room. Lol! I have a whole house of Bernahrd. We have been very happy with all of our Bernhardt, not even one complaint on any piece that we own." “The fabric on my chair and ottoman started disintegrating less than two years after purchase” - David D.
Despite the fact that most of Bernhardt’s production is carried out within the U.S they have begun to outsource some of their operations to Asia in recent years. This has seen a decline in quality for some products. The complaints are still isolated incidents and not indicative of a real problem within the company. If you are looking for American made furniture then I would suggest either Catnapper or Palliser! Bernhardt stand behind their products by offering a pretty impressive warranty on their products. All springs and frames are covered by a lifetime warranty and cushions, filling material and mechanisms are covered for 3 years. Fabrics and leather are covered by Bernhardt’s suppliers warranty. This warranty covers all faults and workmanship in the products, but be sure to check with your dealer before purchase. Bernhardt furniture is a little more expensive than some of the competition, but that’s for good reason. The construction quality is very high, with unique techniques and quality materials making the units sturdy and reliable. Bernhardt’s long history shows their specialist nature and proves they know how to produce top notch furniture. Bernhardt are offering top of the range products at a competitive price. Their quality really is high and you can stand behind your units, which are backed up by a good warranty. If Bernhardt are within your price range then be sure to check them out today and add some value to your home. Overall I hope you have enjoyed our Bernhardt Furniture reviews guide, and I hope you have learned a thing or two! Thank you for visiting Consumer Home Decor!